In a letter to the influential ranker of colleges, U.S. News & World Report, a group of Democratic senators urged them to use their "influential platform" to overhaul their college ranking formula by giving more weight to institutions that open their doors to students from underrepresented backgrounds when ranking schools. Senators asked U.S. News to "better align its rankings with the three longstanding goals behind federal financial aid: improving college access, supporting student success, and providing every talented student a pathway to economic stability and meaningful participation in our country's economic, social, and civic life." In modifying the way U.S. News ranks its colleges, the senators aim in "giving more credit to those that do the most for underrepresented and disadvantaged students "instead of the privileged few." The "unusual call" from the senators "reflects increasing national pressure for higher education to do more for low-income students." U.S. News already modified its rankings this year by giving more weight to the graduation rates of students who receive Pell Grants. It also removed from its algorithm colleges' acceptance rate and "reduced the importance of students' standardized-test scores and high-school standing." While the improvements were acknowledged by senators, they still fear that “U.S. News continues to create a perverse incentive for schools to adopt or maintain policies that perpetuate social and economic inequalities." The six senators also called on U.S. News to "better recognize community colleges and minority-serving institutions" that serve as our country's engines of social mobility and incent others to do so." 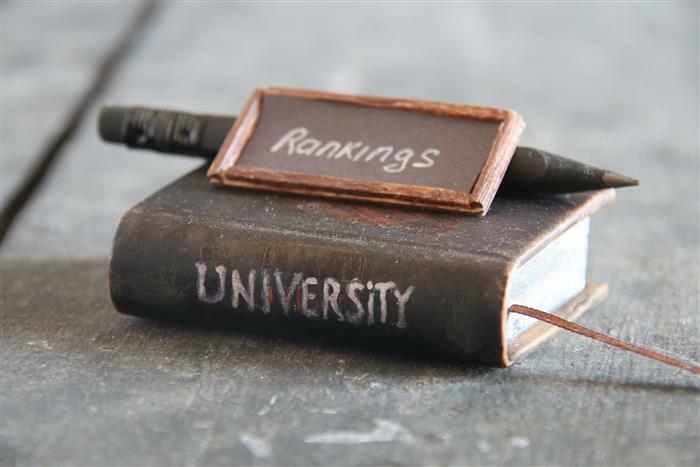 In your opinion, should U.S. News overhaul its current college ranking algorithm? Why or why not? And by altering the ranking list, college admissions will change based on those criteria, meaning the schools will still rank high, but for the wrong reasons. Demographics shouldn't supersede academics and merit when it comes to admissions. Especially when even "privileged" groups still have to work hard to get in, not just the "underprivileged" ones. And if those "privileged few" deserve to get in, worked hard their whole lives to get into a college and are rejected because of this? Or the lower-middle class families who barely have enough to not qualify as low income, thus meaning their kids won't have the same chances to get in as the lower-class families because a few thousand more a year? Sounds like an affirmative action comeback. My friends and I had this same issue where I grew up with scholarships and social services, they weren't available to us because we were born the wrong race or gender or into the wrong social class (note the word "born", we didn't choose to be the way we are). If they go through with this, admissions will be based more on demographics than merit (merit does include overcoming the struggles demographics may have posed, but does not give certain groups benefits solely because they belong to such categories). Merit is what should truly determine admissions, not how or what you were born into. The purpose of the ranking is so students can find the best colleges for them. By moving the meaning of best to now mean what's best for the worst students they make their list less valuable to the majority of students. People are going to scoff at this, but the reality is that minorities get most of the student aid, especially if they're DACA. As a white woman (returning to college after 15 years)I'm having a hell of a time finding something that is for me!